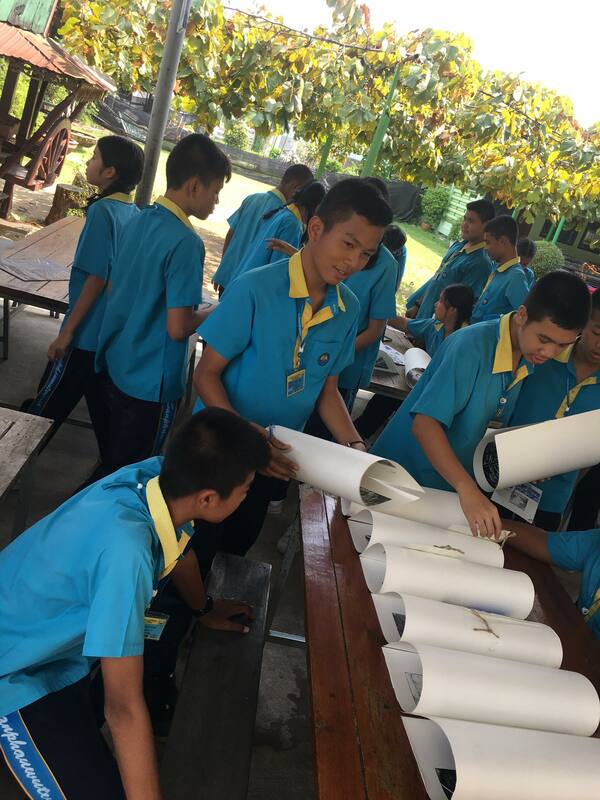 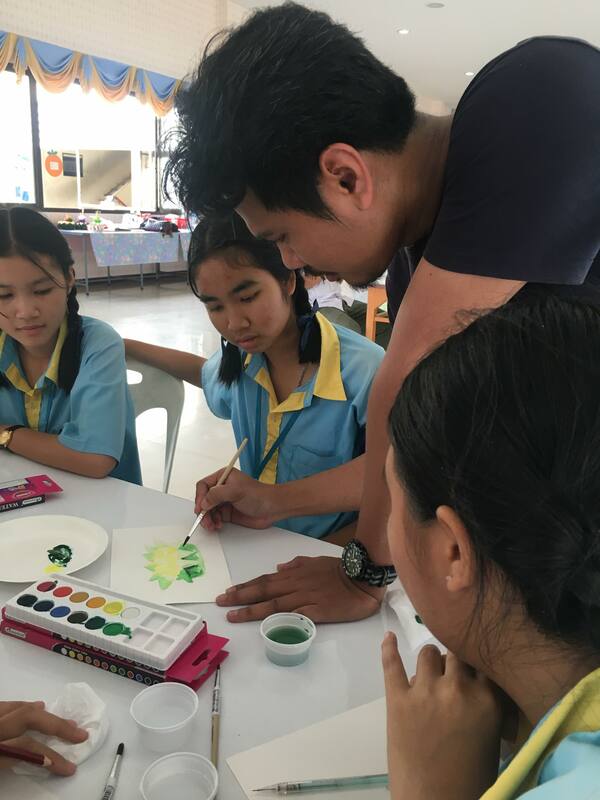 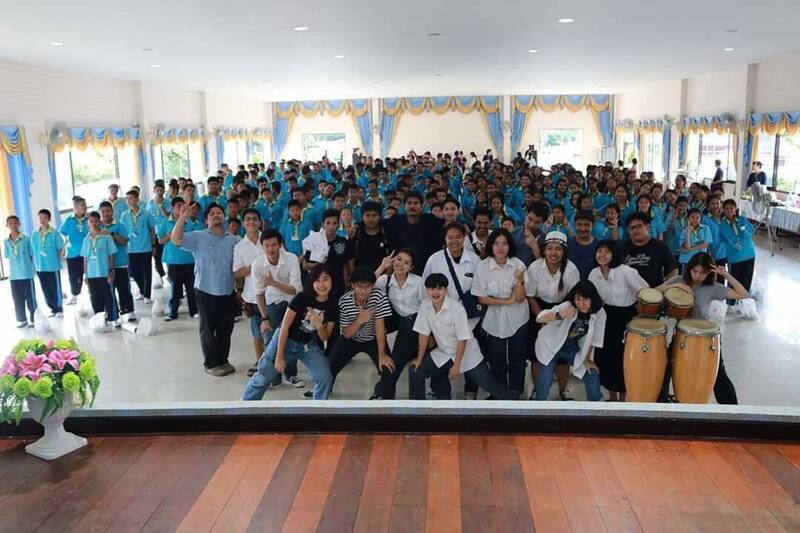 On November 22, 2018, the Painting Department led by Mr.Jirawat Kannok guided the sophomore and junior students in joining the Artist Day Camp Project at Sanpawut School. 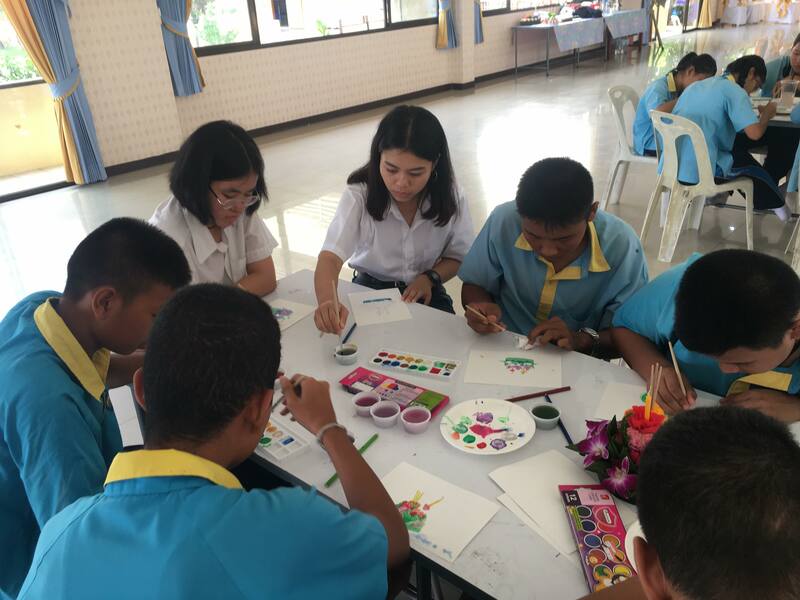 The Painting Department brought art workshop activities in order to let the students create their own artwork. 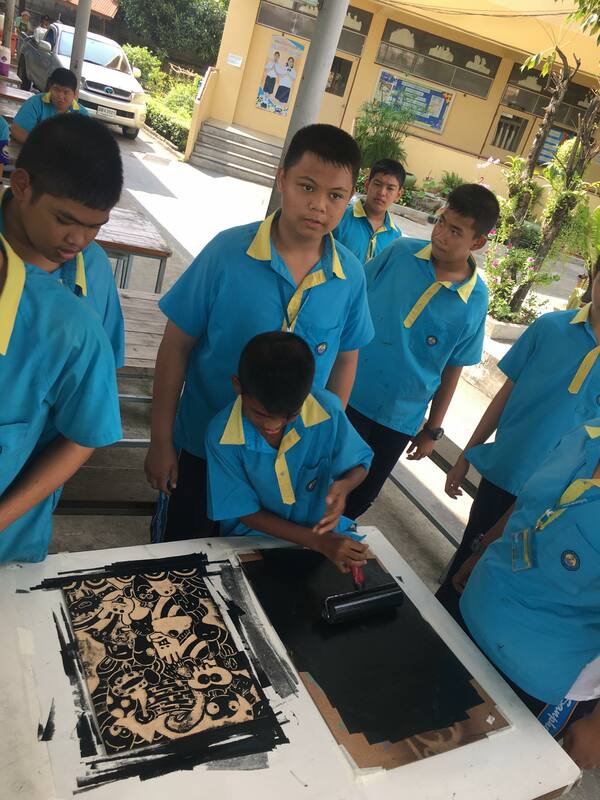 The workshop included picture printing and watercolor painting. 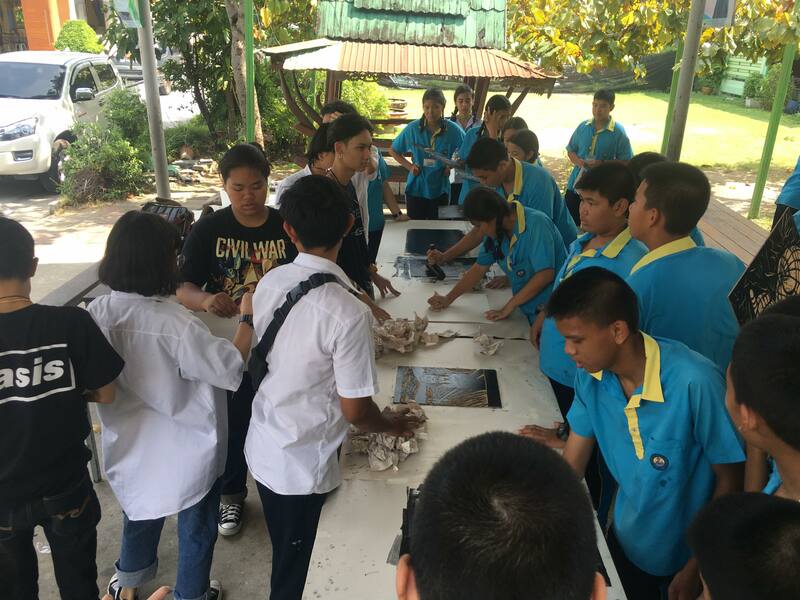 The students of Sanpawut School showed interest and participated in fun activities prepared for them.